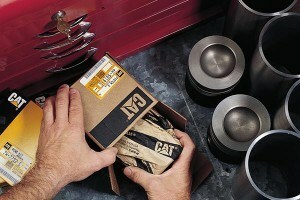 Sometimes, ordering new parts for your company’s Cat® equipment isn’t an option. You may not have the financial resources to do so. Similarly, maybe you have multiple machines in need of replacement parts or even have a machine that’s reaching the end of its lifespan — and new parts aren’t worth the cost. If you’re a business owner in need of used parts, know that Michigan CAT has you covered. We stock a comprehensive inventory of parts, many of which are used or remanufactured, to suit your fleet’s needs. Parts are available from multiple locations: With several locations across the state of Michigan, Michigan CAT is able to supply your used part needs. A thorough inventory of used parts: Whatever your used part needs may be, trust Michigan CAT to fulfill them. We stock an extensive collection of used parts sure to meet your requirements. 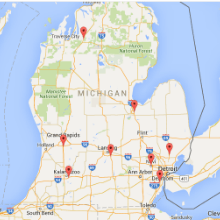 Multiple drop box locations throughout Michigan: If you’re not able to make it out to one of our service centers, don’t fret — we have several drop box locations throughout the great state of Michigan. Contact Kevin “Bigg Lugg” Crenshaw for all of your Used Parts needs 888-MICH-CAT ext (1279) or at usedparts@nullmichigancat.com.